For more than 30 years, trial attorney Howard L. Pomerantz has been seeking justice for victims and families in personal injury, wrongful death, medical malpractice and product liability cases. He has handled numerous cases involving multimillion-dollar recoveries. As co-founder of the firm, he serves as senior litigation counsel and tries cases in both state and federal courts. Mr. Pomerantz is AV-rated by Martindale-Hubbell and is included in their Bar Register of Preeminent Lawyers. In 2008, he was voted Trial Lawyer of the Year by the American Board of Trial Advocates’ Fort Lauderdale Chapter. Super Lawyers magazine has recognized him as one of the top medical malpractice plaintiff lawyers in Florida. A recognized expert in law, Mr. Pomerantz has written and published articles and lectured before numerous professional organizations across the United States. He is the author of “When Exercise Turns Deadly”, an article appearing in Trial Magazine about the litigation of cases against health clubs for failing to have A.E.D.s. He is also the author of “Medical Malpractice Following Initial Tort,” published in Florida Torts Reporter — February, 1991. In 2003, Mr. Pomerantz was a speaker in the United States House of Representatives at a forum for members of the House Judiciary Committee regarding Medical Malpractice Tort Reform legislation. He has also lectured about the laws of drowning in Florida. In addition to his full-time law practice Mr. Pomerantz volunteers with Broward Lawyers Care, a program providing pro bono legal services to indigent community members in Broward County. He is also a member of The Florida Bar’s Seek Counsel of Professional Experience (Scope) Panel, to advise and mentor young attorneys. He has served as President of the Fort Lauderdale Chapter of the American Board of Trial Advocates and also served as the organizations President-Elect, Vice President, Secretary and Treasurer. Mr. Pomerantz is an EAGLE member of the Florida Justice Association, a member of the American Association for Justice, the American Bar Association, the American Board of Trial Advocates, The Florida Bar, the Broward County Bar Association, the Million Dollar Advocates Forum and the Broward County Justice Association. 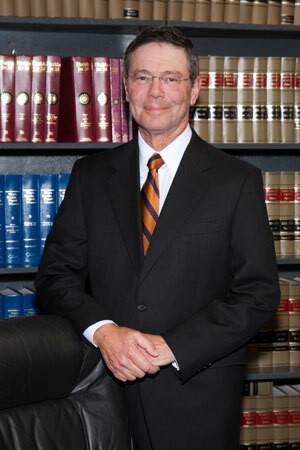 Mr. Pomerantz was awarded his law degree from Vanderbilt University in 1976. He earned his Bachelor of Arts Degree from the University of Rochester in 1973. Mr. Pomerantz tried one of the first automated external defibrillators (A.E.D.s) cases in the United States for a health club’s failure to have the devices on property and secured a multi-million dollar recovery. As a result of this case, he received an award from Fitness Institute International and was an invited lecturer at the 2002 National Convention of the International Health and Racquet Sports Association. Vanderbilt Law School, 1976, J.D. University of Rochester, 1973, B.A.